Life really can be a picnic for whoever is lucky enough to receive this tasteful basket. Overflowing with deliciousness, it's perfect for a party or a delightful day at the park! 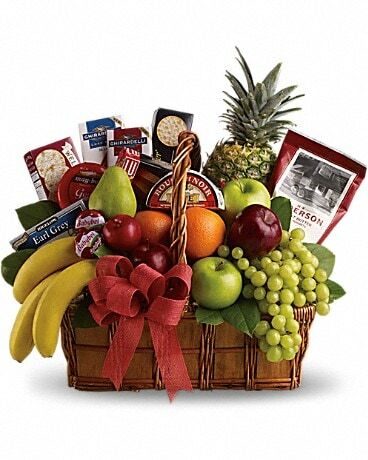 Fruit baskets start at 65$ on up. Please call the shop to inquire.